We can make Alice in Wonderland props for your next themed event or party! 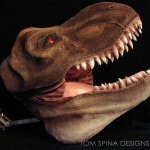 A client called us looking for giant foam leg props for sale. They were having a corporate event with an Alice in Wonderland theme. We were tasked with the tall order of creating a larger than life foam prop legs in stockings with giant shoes. 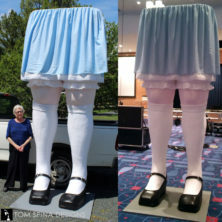 The Alice in Wonderland props were made in a giant scale to be paired with a large, ceiling mounted skirt at the party. 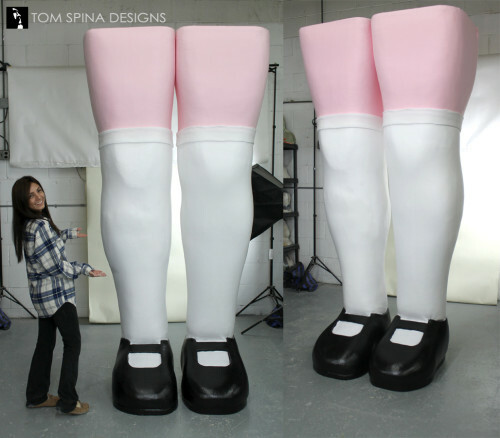 We created these 8 foot tall cartoony Alice in Wonderland legs from (relatively) lightweight foam. 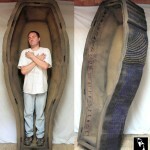 The sculpture was first hand carved in an EPS styrofoam which was hard coated to give the legs stability. Each leg was paired with a wood base to help keep them from tipping. The shoes were given a smoother coating and then painted to give the glossy look of patent leather. 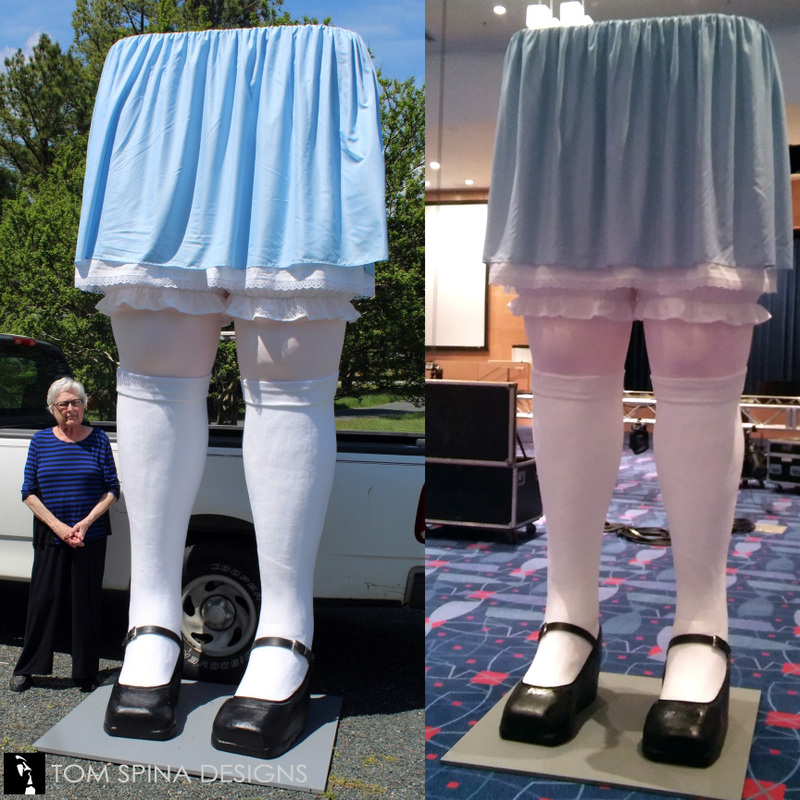 The “skin” of her legs and socks were created with fleece, which helped keep our build on-budget for the client. 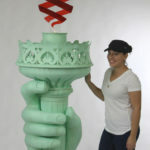 We can create all sorts of scenic and prop items for events, exhibits, parties and trade shows, so when you’re scheduling your next themed event, you know who to call to create one of a kind, eye catching props for you! 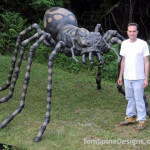 Whether you need a pair of giant legs, or foam characters or logos, we can make it. 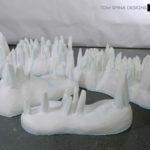 Do you want to one of a kind custom foam props for your next event or party?Email or call today and let’s discuss your project!